Hawaii has been #blessed with a food culture all its own. 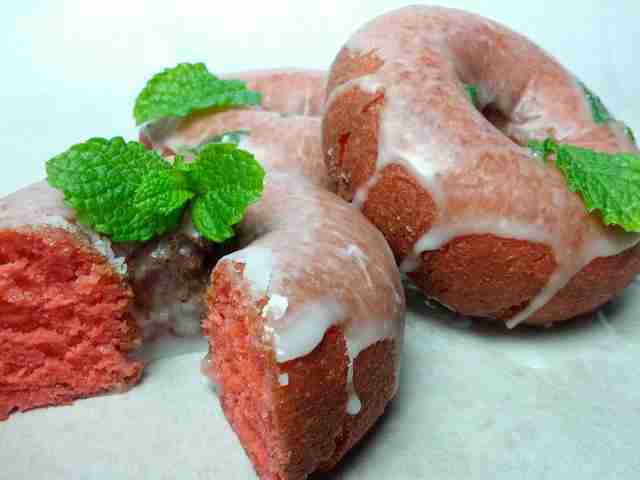 So it's no wonder that pastry chefs here have taken the all-American donut and made a couple tweaks -- like using poi as a glaze and Japanese sweet red bean as a filling -- to improve upon the already-delicious treat. 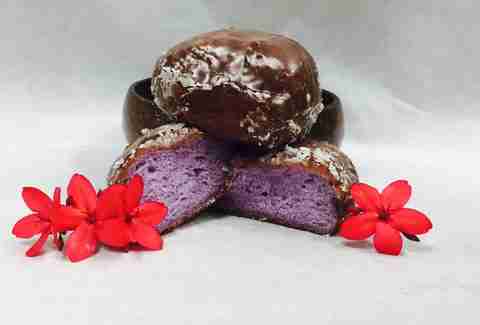 So for the days when nothing but a gooey, gluttonous donut will do, we rounded up our favorite decidedly Hawaiian shops in Honolulu for stuffing your pie, er, donut hole. You can’t go wrong with anything at this 38-year-old institution, but you’re not going to want to miss the glazed poi donuts. Crispy and generously glazed on the outside, yet fluffy and bright purple on the inside, these taro-flavored orbs sell out quickly. Open at 2am (3am on the weekends), you'll want to get there before 7am to secure that glazed poi -- they sell out fast. Late risers can still console themselves with haupia malasadas, and strawberry and orange-glazed donuts. The intoxicating scent of freshly made donuts probably led you here, and you’re not alone. Tucked in the middle of the island’s business district, this family-owned operation offers eye- and nose-pleasing baked goods from early morning till mid-afternoon, which means you can have a fresh baked-not-fried old fashioned donut for breakfast, a massive blueberry glaze for second breakfast, a maple glaze for lunch, and chocolate cake and/or chocolate-covered, peanut butter-filled donut for an afternoon pick-me-up. Choose between three Regal Bakery locations to get your hands on a decadently decorated soft yeast or cake donut. Often seasonal, these donuts are sprinkle-colored, coconut-capped, topped with corn flakes, garnished with bacon, glazed with crème brulee, green tea or toffee, and ultimately food show worthy (speaking of, the chef/owner competed in the Cooking Channel's Donut Showdown). Known for its delicious (and adorable) animal-shaped Japanese anpan, this pastry shop also makes an assortment of sweet and savory donuts. If you can tear yourself away from gawking at the elephant-, bear-, bunny-, and turtle-shaped breads stuffed with gooey red bean paste filling, the vegetable curry donut and mini green tea and chocolate-glazed donuts are a satisfying dinner and dessert pair. This 66-year-old bakery’s most famous carby treats are their cocoa puffs. And maybe their Chantilly cake. And butter rolls with neon jelly. But, their twist donuts, Bavarian crème, glazed and cake donuts, and especially their chocolate-covered French and new glazed croissant donuts should not be ignored. The classics are savory and soft, sweet, but not overbearingly so, and the French donuts are addicting enough to make you decide to forgo the more well-known treats completely. Sometimes a little mall shopping requires a pick-me-up in the form of something bready and sweet. 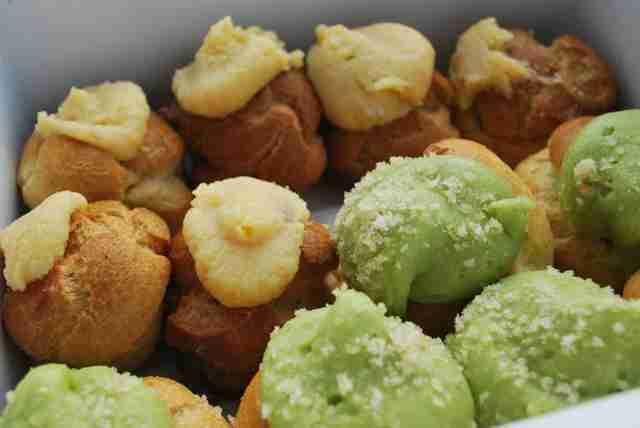 With more than 70 savory and sweet options baked daily, this Japanese bakery uses Mainz flour imported exclusively from Japan, without adding artificial coloring or preservatives. Grab your “healthier” sugar coated, custard-filled, chocolate-covered snack from the bottom level of a Japanese department store. Although Leonard’s Bakery introduced the Portuguese treat to the masses, this lesser-known establishment churns out equally as good (or better) malasadas, minus the long lines. 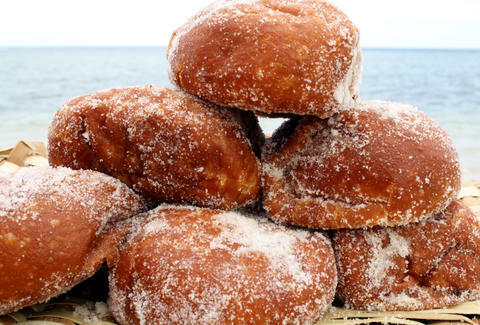 Dough for the original malasada is aged and made-to-order, resulting in a round mound that’s sugary, hot and crispy on the outside, and soft and tender on the inside. 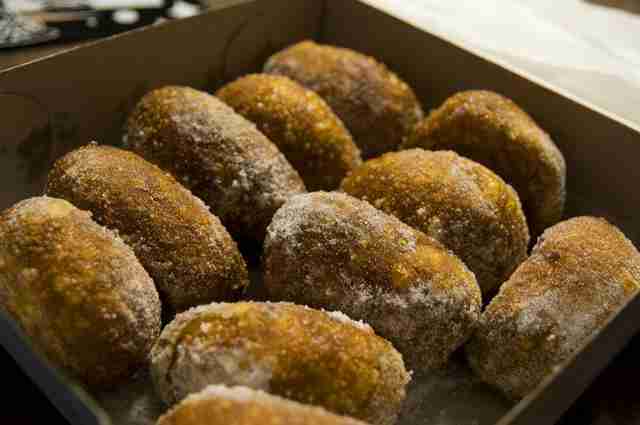 Pre-made haupia, chocolate and custard-filled malasadas, and sponge cakes are available to fill the holes in your take-home box. Summer Nakaishi is a freelance writer for Thrillist and suddenly has an unspeakable craving for a glazed poi donut. Or a chocolate-covered French donut. Or a cornflake-topped donut. Or all of the above.